One of my favorite things about the summer is Warped Tour. I have been going every year since 2011. Everybody needs a good, cute, and a cool outfit to wear on that day. As in cool I'm talking about an outfit that won't make you pass out on the way to your favorite band. 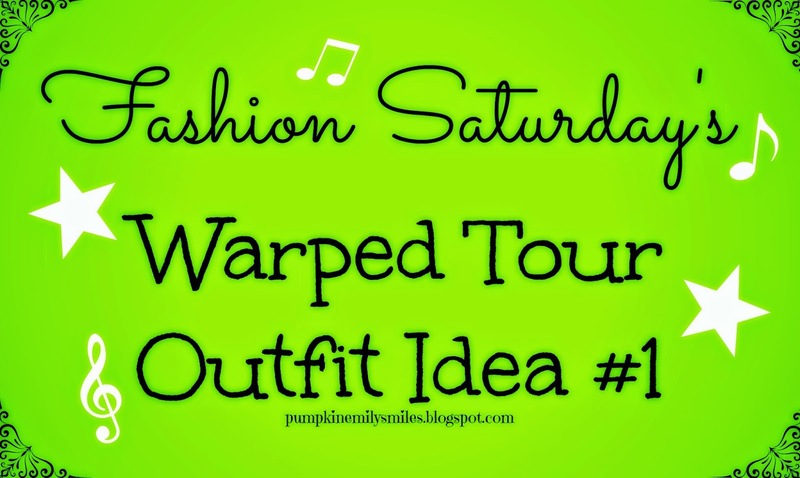 I think every week until the last Saturday of Warped Tour, I'm going to show you an outfit idea that would be great to where to Warped Tour or some other type of music festival. I might even do it next year too. A shirt you might want to consider wearing is a tank top. It would keep you cooler. I love the meow tank top. I love the cute whiskers. You might want to wear shorts. It might be better to wear than skinny jeans. Wear comfortable shoes not sandals or flip flops. Wear shoes like shoes you would actually want to walk in all day. You might want a backpack for all of your band merchandise and what ever else you might be carrying. I would recommend a string or a shoulder book bag because then you would have less worries about people stealing your stuff. But you still have to keep your guard up. I like the gem details on the book bag. One accessory I normally wear to any type of concert either if it's a music festival or a normal concert is a band bracelet. You can wear who ever you want. You can even wear a bracelet with your favorite band your going to see on it. I think my favorite part of this outfit is the shirt and the shorts. They are both really cute. What's your favorite clothing item? Are you going to Warped Tour or another music festival this summer? I love this outfit especially the shorts and converse. Wish I could go to warped tour this year, sounds like such a good time! Hope you have fun! I love the shorts and converse to. Hopefully I get to go this year.